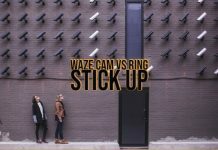 Why an Amazon Cloud Cam vs Ring Stick Up Cam article you ask? It is because in today’s world of nuclear families and a hectic lifestyle comprises of 21st Century risks and safety concerns, a security camera should be one of the prominent choices you need to make. With such a massive number of security cameras available at our disposal, it may be a little difficult task to find the best cameras that meet most of your requirements. Of the currently available breed of cameras, we have picked two most capable and popular options and will make a comparison between the two compelling security cameras. As with most of the Amazon products, you will find that the packaging and contents out of the box are impressive and satisfying. The box contents include Cloud Cam itself, a USB wall adapter, nine-foot USB power cable, a mounting plate, and wall-mount hardware. The Amazon Cloud camera is capable of shooting in HD and offers you 30 frames per second clarity. You should shoot high-quality videos, unlike most security cameras. During dusk or lower light levels, the images and videos get a little blurry, especially when things are moving faster. However, the night videos are quite crisp and clear. The faces and clothing patterns in night shooting are visible. The clips could be viewed only through the app initially, but Amazon has now introduced the options to see them on your computer as well. One of the features we loved the most is the two-way audio communication that it offers you. That means while you can hear the sounds of the video clips being recorded, you will also be able to talk to the people on the other side of the camera from afar! The speaker and microphone are quite capable enough. It can, of course, pick the raised voices – but also, it can also get the lower level in room conversations as well. The camera can record up to 24 hours of footage, but you may buy additional footage and storage options from Amazon. There are a few plans available which go like Basic, Extended, and Pro. 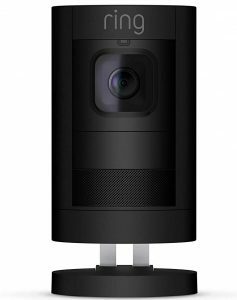 Coming from Amazon, the security camera is equipped with the options for activating and interacting with Alexa, Amazon’s in-house AI Personal voice assistant. The two-way audio functionality is much better than the competitions and clear enough. You will need to opt for a subscription if you want to download the videos. If you are opting for basic tier, the motion sensing can be an issue. As with Amazon Cloud Cam, the Ring stick cam comes with an attractive package with almost all the accessories, and mounting paraphernalia included. The sales pack comes equipped with the camera itself, the base, two USB power supply options (indoor and outdoor), a Power over Ethernet cable, and all the anchors, mounting screws, and wire clips. The configuration of your camera is quite simple and easy to work with. Just download the app, scan the barcode and follow the instructions on both the app and the device. You should be done within around five minutes. Of course, mounting the camera on he wall should take more time. The feature that we love the most with the camera is the ability to be used under a wide range of options. It can be used indoors or outdoors, can work with WiFi or ethernet, and can be placed on a table or used on the wall. The app lets you perform an infinite range of options to manage your camera. Some of the options worth mentioning can be viewing the live or recorded footage, setting up motion sensors and zones, or even adjust the motion sensitivity. The app also lets you set off a siren or even talk to the others on the other side of the camera. The Stick Cam can record the footage in 1080p HD and offers you a 150 degree horizontal or 85-degree vertical field of view. As for the low light performance or the night vision functionality – you will find the camera performing quite well enough. Just the way you can do it with the Amazon Cloud cam, you can also use the two-way audio functionality on the Ring Stick up cam as well. The protect plan comes with subscription charges of $3 per month. That should be a good option for every standard. The two-way communication is not up to the mark. After having gone through the details of the two cameras, it may be practical enough to understand the differences between the two cameras. We thought of sharing the differences in a side by side comparison chart for a better understanding of the two cameras and their features. 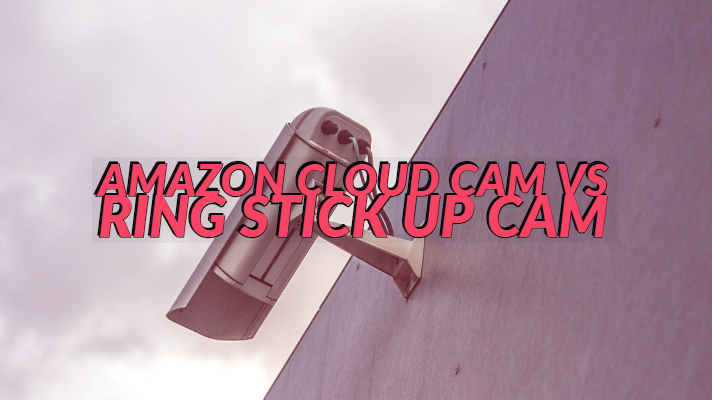 The Amazon Cloud cam comes from a huge brand, but still, the Ring Stick Up Cam has a lot of features and functions making it one of the prime choices. The versatility, better connectivity options, and outdoor visibility are a few features that would make it a formidable choice in comparison. However, that should not make Amazon inferior in any manner. 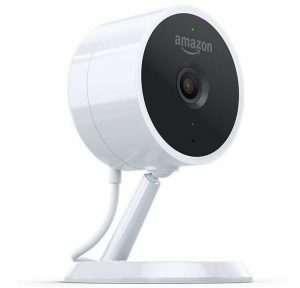 In fact, when it comes to the features available on the free tier, you will find the Amazon Cloud Cam one of the good choices. Even in terms of other functions, it offers you a couple of good features. The clear two-way audio communication is one of the prominent options. So, that was what we have to do with the two cameras for your security requirements. In fact, we would consider both of them capable enough when it comes to the features and functions that they offer you. Have you used either of those options for your security needs? If you have, do share your thoughts and experiences with those two cameras with us through the comments here. This will help our readers make a valuable decision.